Denise and I were up early as she went to 7:00 am mass and I for my last hike of Mt Soledad. Denise made it home just before me as I hiked the route we took the other day. 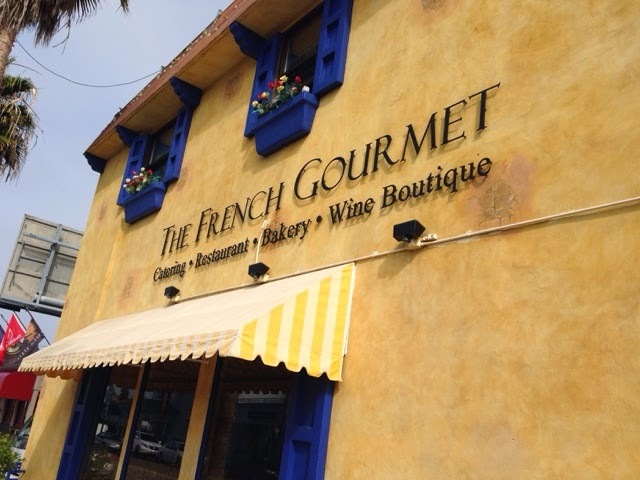 We had reservations at The French Gorurmet at 9:30 am. In Pacific Beach. It was a nice get together. I had the smoked salmon omelette and Denise had the seafood crape. The meal and service was good. 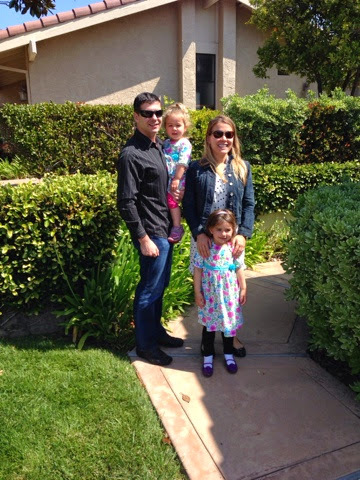 Here is the Easter photo of Clayton and his family. 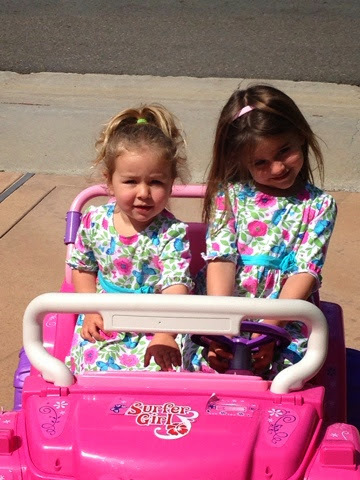 The girls took a ride in their electric car with their matching Easter dresses. 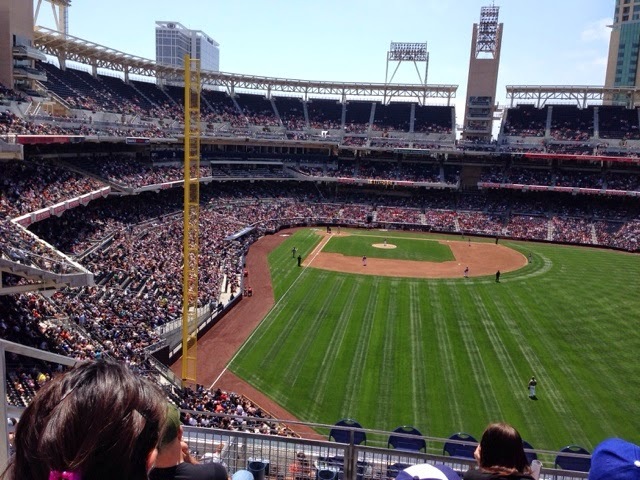 We decided to take in a Padre's game at Petco Park. 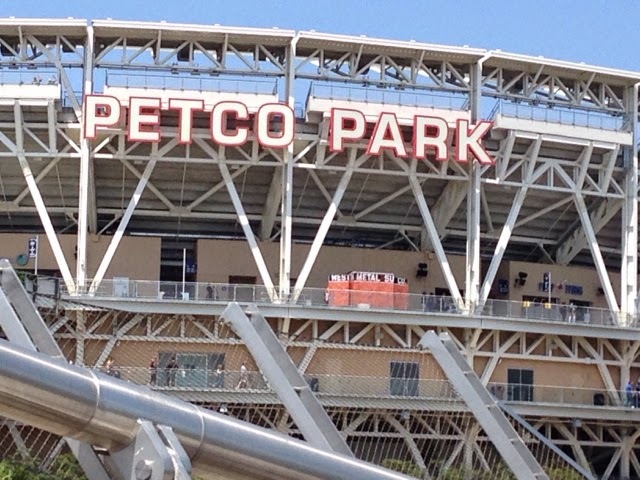 The San Francisco Giamts were in town for a mini series. Our seats in right field. 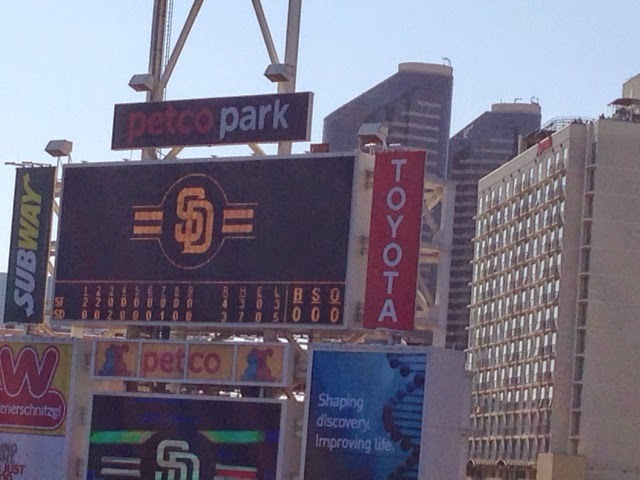 It was a good game as it was close enough to keep our interest, but the Giants won. 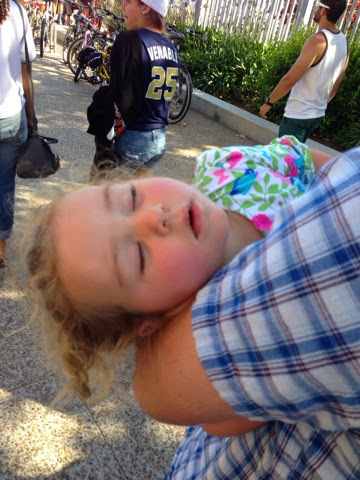 Taylor crashed in Dana's arms at our seats and Daddy needed to carry her all the way back to the car. Denise likes Rubio's fish tacos so we stopped at the original restaurant in Mission Bay for her last ones before leaving tomorrow am. It was a fun visit and so happy that Clayton is home and the family has daddy back. They leave La Jolla for Clayton's new assignment in Monterey, CA in June for his July start at the Navy College. I drop Denise at the airport about 5:00 am and then I am on my way home. My trip plans on completing on May 2. I will be looking for interesting stops on the way home. Hope to see some relatives and friends on the way. Stay connected to the blog as I will be posting each day.